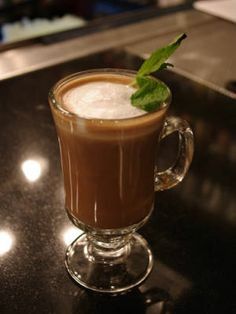 Lift a glass of this Irish Drink Recipe and toast a loved one, a friend, an acquaintance or colleague, or even a stranger! 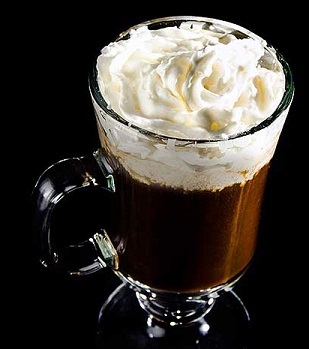 This drink recipe and the recipe for Irish Coffee are the two most popular Irish drinks I serve at the restaurant just before and on Saint Patrick's Day. I think America has taken to celebrating St. Pat's Day not only because we have many citizens of Irish descent but also because it has an inviting and optimistic spirit about it; the Irish spirit of celebration, perseverance and optimism for the future. That's an Irish toast and I hear it in the restaurant during Saint Patrick Day celebrations. Top it all with the whipped cream if you wish. Enjoy your Irish Drink and the company of those you share it with! Did you know? Whiskey was first recorded in Ireland in 1405. It was later recorded in Scotland in 1494.